The Denver Zoo has a new baby! 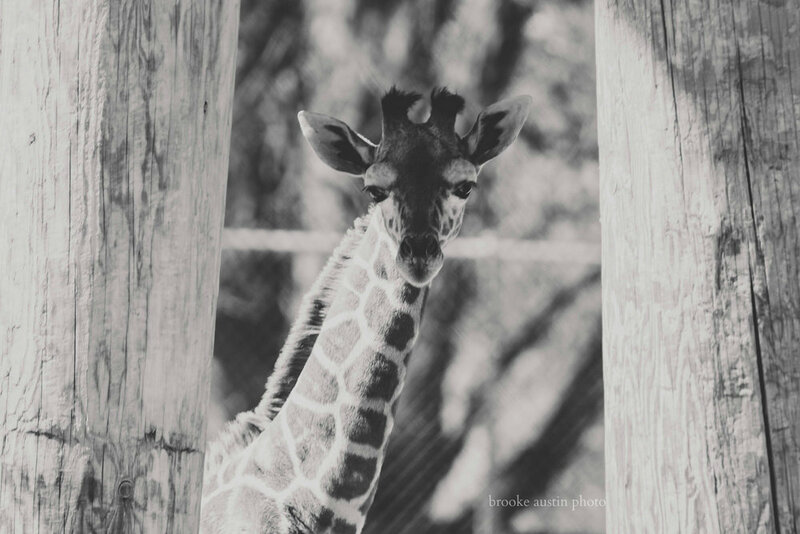 Our city has been in awe these past few weeks with the birth of our zoo's giraffe baby, 'Dobby', born February 28th. I've been anxious to get to the zoo to get my own sneak peek of this darling zoo animal. Today, I got my chance to meet Dobby and capture a few creative portraits of him. 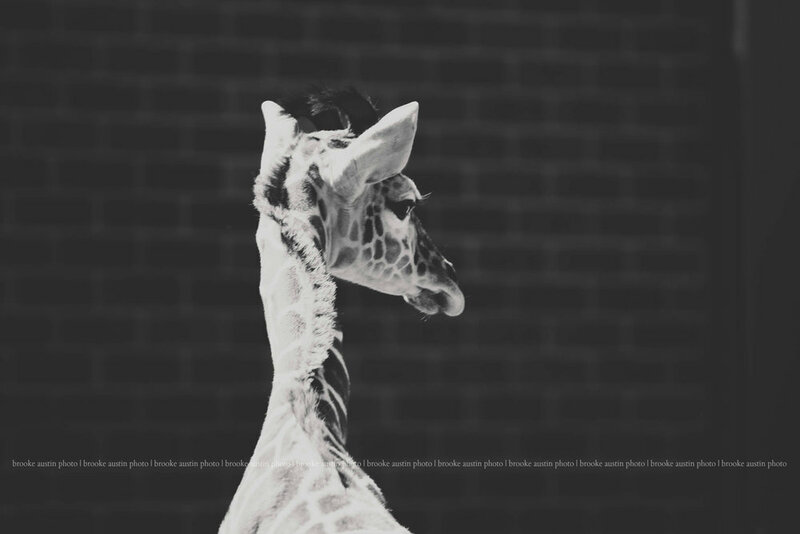 It's not always easy to get those zoo animals photographed, and today wasn't any better, as it was packed with attendees and even more packed in around the giraffe enclosure. People were excited to see the giraffes and especially to see Dobby, while he's still "small" standing now at around 7ft, 161lbs. He is wonderful and I couldn't get enough of him. 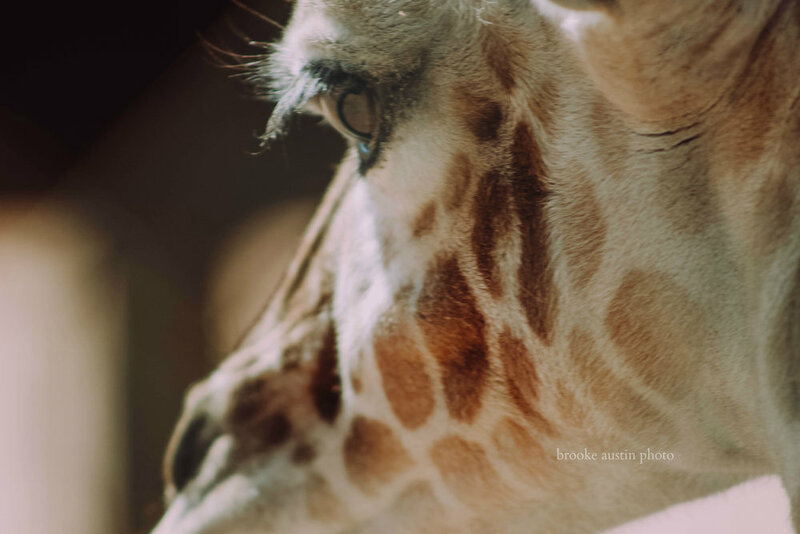 For the majority of the time that we were visiting Dobby the giraffe, he was standing close to one side of their enclosure, but that side has a chain link fence in between the animals and the humans, so most of my close-up images are taken through the fence. I'm thrilled to have captured him both close up and a few from farther away! When taking photographs at the zoo, I find the key to snagging those treasured shots is to be patient, find a spot and try to snap, then move and allow others the opportunity to see the animal and come back to try again. Be patient, but be ready! The animals are unpredictable and will move ever so quickly, often times allowing for the perfect shot of their natural poses. My favorites are when it almost seems as if they know you're there to do a shoot with them, and they oblige, showcasing their eyes and faces right towards your lens, as if to partner with you. Or, at least I like to pretend they are! What amazing creatures!